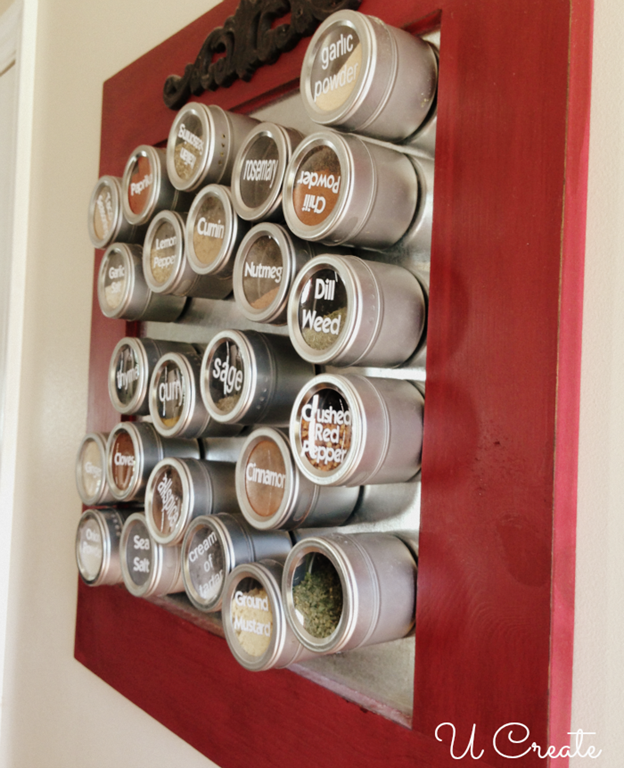 I made this forever ago, but it’s the most popular DIY item in my whole house. I’ve spent hours & days on other projects, but nope this one seems to be the favorite when people come over! Maybe because it is such a great tool to have in the kitchen!? 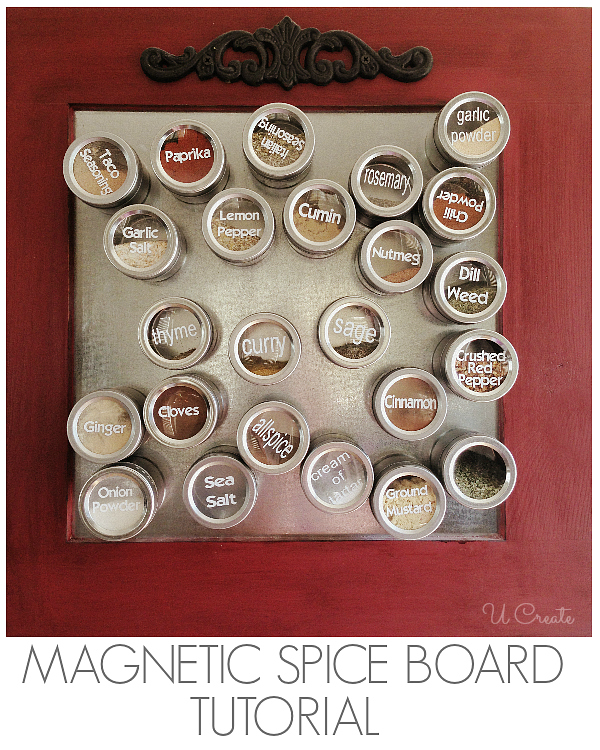 I LOVE being able to see which spices I have and how easy they are to find – no more digging deep in my old spice cabinet knocking things over! 1. I purchased this ready-made magnet board at a craft store called Roberts in my area. 3. 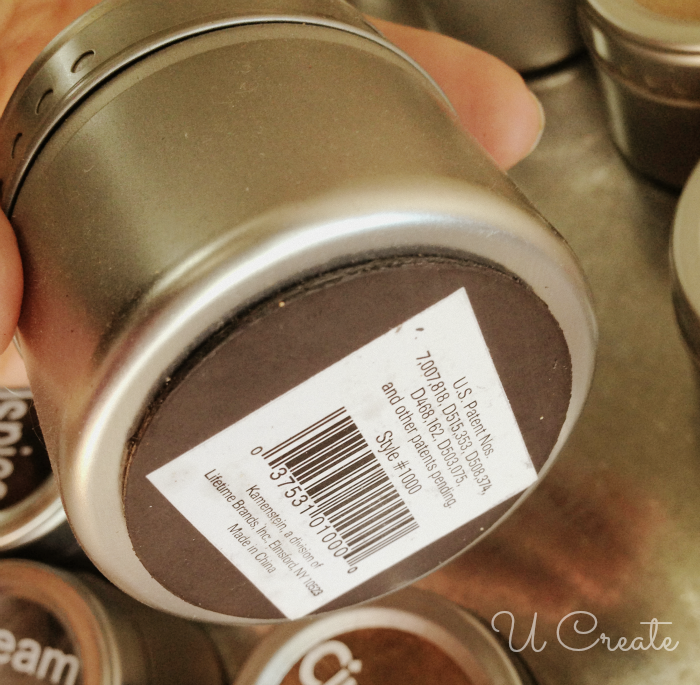 I embellished it with metal decor I found at a boutique – you could also purchase the wooden versions at Home Depot. 4. 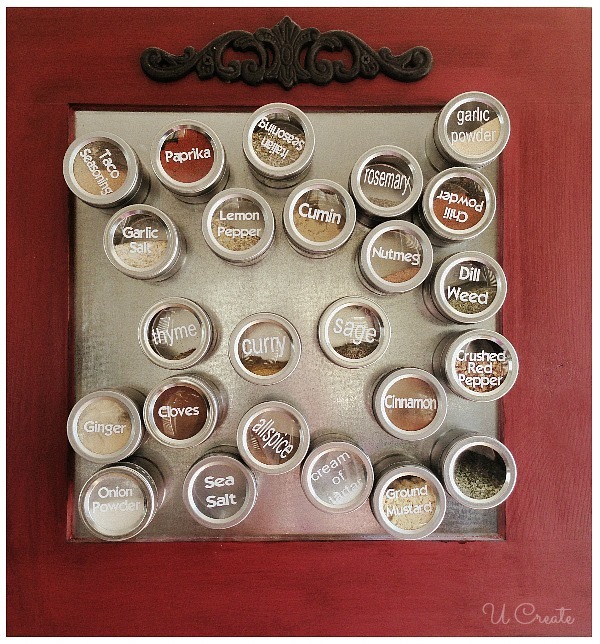 I used white vinyl and my Cricut machine to cut out my spices. The area you have to work with is only 3” by 3” so make sure you make your letters are small enough to fit. 5. 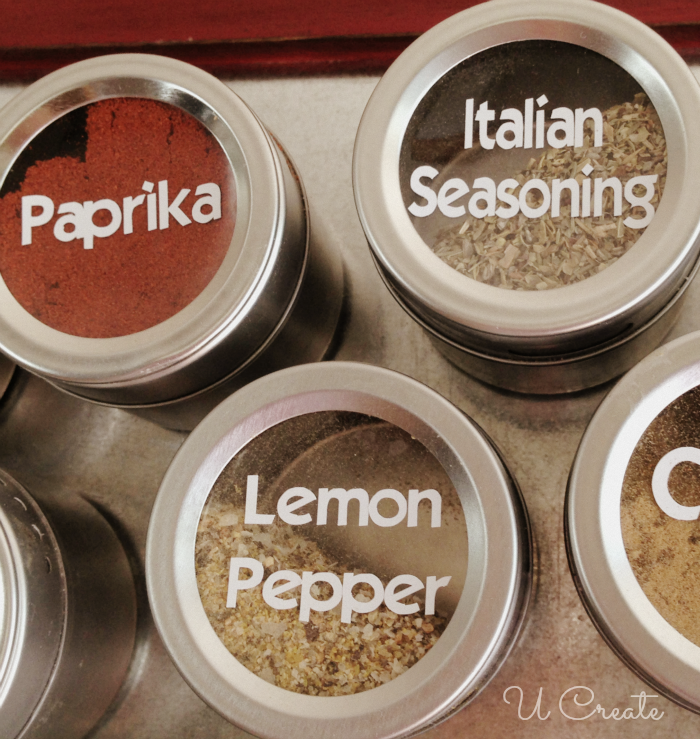 Fill up with spices and you are ready to go!! I bought my spice holders at Bed, Bath, and Beyond. 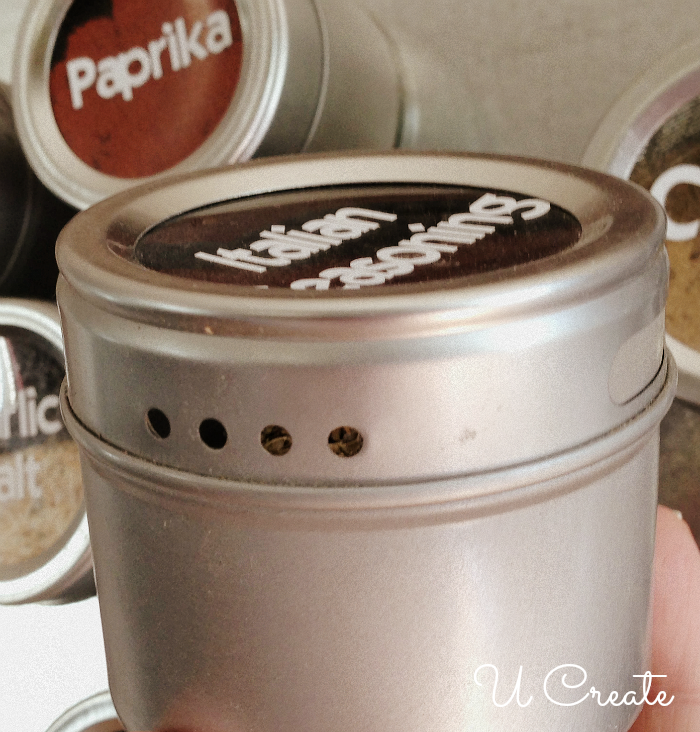 I love these because the seal is super tight – the last thing I need is spices spilling all over! The magnet is very strong, too!! I never have to worry about the containers falling off! You could do a smaller version or a larger version, too – depending on how many spices you off!